Do you find you have $700 more than you need and a million hours of your life you'd really like to burn through? 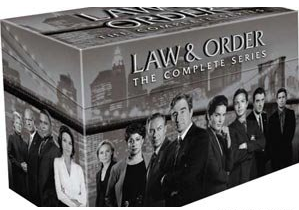 Why not pick up the 104-disc 20-season box set of Law & Order? Plus, there are tons of special features for people who probably weren't going to sleep tonight anyway! Yay!